The buildings, structures and the railway track in the Nilgiri Hills is steeped in history. But there’s a lot more to Ooty. When one looks at the diversity of tribal and indigenous cultures in Ooty, the array is massive; take The Badaga community, for instance. It is one of the many communities that developed and thrived within the lush ecosystem of Ooty. Before the British insurgence into India, the hierarchies and roles among the tribes of Ooty were quite well thought out and structured. The Badagas served as cultivators in the frameworks; there were other tribes such as the Toda who served as dairymen and weavers; the Kota as artisans, and the Kurumba as a provider of a host of natural resources such as honey and firewood. 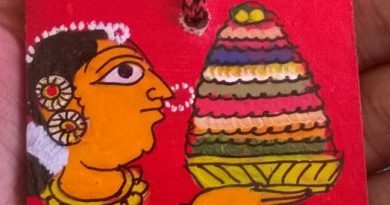 The rich Badaga culture is reminiscent of the ancient, age-old Indian mentality of surviving and thriving in the environment. The main patterns of subsistence were based on barter system, and tea is, and was the most commonly cultivated crop. The migration of the Badagas to Ooty is traced back to familial wars in the Nilgiris and the Kollegal Hills. The decline of the Badaga community in these regions as a result of feudal violence caused them to move to Vijayanagar, where their needs were taken care of quite well. 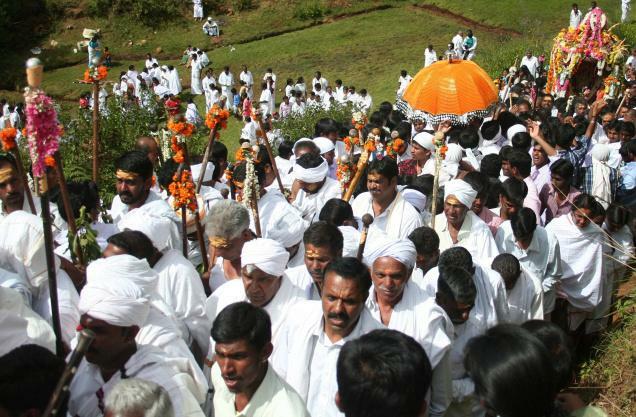 The migration of the Badagas to the Nilgiris has been from the Southern Mysore province, particularly from places like Nanjangud and Ummatur. The decline of the Ummattur Rayas’ empire after the British rule led to a fall in the customs and traditions of the Badagas. The introduction of formal token money and a trade led to the severe impairment of more primal barter frameworks. From the censuses conducted from the 1800s to the 2000s, it has been observed that the cultural heterogeneity of the Nilgiris is increasing, accompanied by a stability in Badaga population. The Badaga people live within the Nilgiris, in villages situated on low hillocks. The structure of villages is seen to be quite organized, with housing mainly comprising of thatched huts, made of a framework consisting of huts with joined walls. Added elements like milk houses and storage attics made of a framework of bamboos. The collectivism of the Badagas is seen through their cultivation methods, as well as from the way they live. The community is said to be extremely adept at stimulating the productive capacity of fertile lands. As soon as the Badagas approach a settlement, they become almost compelled to clear rocks and other irregularities –rendering it cultivable. The division of labor is seen to rely on patriarchal stereotypes, with women taking care of the home, and men venturing out to cultivate coffee. There has been a cessation of shifting cultivation among the Badagas, who have now made their settlement in the Nilgiris, and thus, their culture has undergone quite a bit of an assimilation in the past few decades. Even though the Badaga culture has undergone some degree of normalization, parts and fragments of the roots of their colture still persist. The community has an advanced outlook on commerce, education, and modernization. 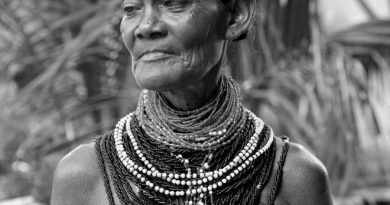 Several elaborate rituals are performed within the Badaga community, and these reflect their absolute adherence to cultural values and norms. 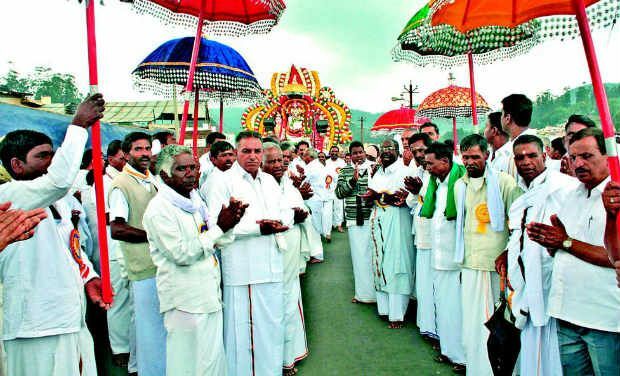 The Badagas have been cut off from the heart of civilization in Ooty for around 400 years now. They may be advanced culturally, but they still prescribe to mythic beliefs and folklore. Death rituals are also seen to be elaborate and have links to the Garuda Purana. Rituals to mourn the dead involve elaborate patterns of chanting. It is fascinating to see this intertextuality in Indian value systems, especially considering the fact that the Badaga community lacked formal script for quite a long time. The data on scripts is fragmented, but the belief systems are still, surprisingly concrete and well-defined. The pantheon of Gods in the Badaga community consists of nine Hethai, and the main figure is the Hethai Goddess. The members of the community dance and perform in order to appease the deity. Compelling instrumentation is said to charge up even the most debilitated into action. Tantric forms of worship are thus, quite prevalent in the Badaga framework. The Badagas, today are a well-sustained society, nestled within nature, and continuing to practice their elaborate cultural frameworks, configuring in the modern world. There have been disputes related to the position of Badagas within India, since they petitioned for the Scheduled Tribe Status around 70 years after being classified as a primitive tribe under the census of the 1930s. 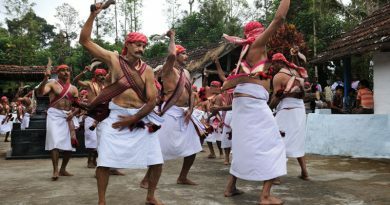 Thus, it is seen that despite the rapid modernization underway around the world as well as in India, the Badagas are seen to be content with their own culture, as well as interacting with a world order, to create a balance between the new and old orders. Kindly quote the source of your statements with regard to the migration of the Badagas.